Safety monitoring in VAERS relies on receiving reports of vaccine adverse events from healthcare professionals. 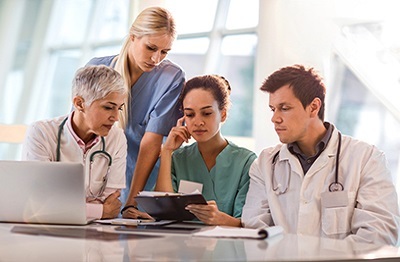 The following information provides guidance to healthcare professionals about how to submit accurate, complete and timely VAERS reports. Any adverse event listed in the VAERS Table of Reportable Events Following Vaccination [PDF - 75KB] that occurs within the specified time period after vaccination. In addition, CDC encourages you to report any clinically significant adverse event that occurs in a patient following a vaccination, even if you are unsure whether a vaccine caused the event. It is very important that VAERS reports are filled out as completely and as accurately as possible. If the CDC and FDA need additional information, you might be contacted by VAERS staff. These cases are usually serious adverse health events that require additional information, such as medical records, that will be helpful in better understanding the adverse event. Be sure to include the E-number or VAERS identification number when you send information back to VAERS. All records received by VAERS are kept confidential as required by law. (We do not recommend you send records by e-mail because email is not considered secure.) The patient's consent is not required to release medical records to VAERS. Under the Health Insurance Portability and Accountability Act of 1996 (HIPAA), VAERS is considered part of a public health activity, and CDC and FDA are public health authorities collecting this data, thus individual authorization is not necessary before releasing information. If you have questions about how the HIPAA applies to VAERS, please visit the VAERS Privacy Policies and Disclaimers section. CDC's Immunization Safety Office conducts post-licensure vaccine safety monitoring and research, and provides the public with information about vaccine safety. See http://www.cdc.gov/vaccinesafety/index.html for more information. Should we report vaccine errors to VAERS? The Vaccine Adverse Event Reporting System (VAERS) accepts all reports, including reports of vaccination errors. VAERS is primarily for monitoring adverse health events, and we encourage reporting of clinically significant adverse health events following vaccination. Using clinical judgment, healthcare professionals can decide whether or not to report a medical error. For example, a healthcare professional might choose to report a vaccination error if the error might pose a safety risk (e.g., administering a live vaccine to an immunocompromised patient) or the error would be preventable with public health action or education. Does VAERS have reporting deadlines? There are no deadlines for submitting reports to VAERS. However, we encourage you to submit a report promptly after an adverse event occurs. Do we need to send multiple copies of the report to VAERS? No. Each report should only be submitted once. VAERS staff prefers online submission. Will we receive confirmation that the report we filed was received? Yes. If you provide your contact information, you will receive a confirmation number electronically or a VAERS identification number by mail depending on your method of reporting. This serves as confirmation that your report was received. It is important to include your contact information in the report; otherwise VAERS cannot send you acknowledgement of report receipt. When a patient has had a prior adverse event, how should we handle future immunizations? For assistance and information, contact CDC-INFO by calling (800) 232-4636 or visit the CDC's Vaccines and Immunizations website. How can we order more Vaccine Information Statements (VIS) or laminated vaccine schedules? Contact CDC-INFO by calling (800) 232-4636, visit the CDC's Vaccines and Immunizations website, or contact the vaccine manufacturer directly. We have questions about vaccine storage. Where can we find information? Contact CDC-INFO by calling (800) 232-4636, visit the CDC's Vaccine Storage and Handling website, or contact the vaccine manufacturer directly. The National Vaccine Injury Compensation Program (VICP) is administered by the Health Resources and Services Administration (HRSA). The VICP is separate from the VAERS program, and reporting an event to VAERS does not constitute filing a claim for compensation to the VICP. For more information about the VICP, call (800) 338-2382 or visit the VICP Web site. Where can I find a complete list of vaccines licensed for immunization and distribution in the United States? Visit FDA's Vaccines Licensed for Use in the United States website for more information.